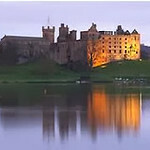 A unique chance to stay in and visit some of Scotland's haunted castles on this splendid 7 day ( 6 nights) self-drive tour. 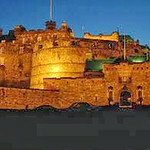 Arrive Edinburgh Airport and pick up your rental car. 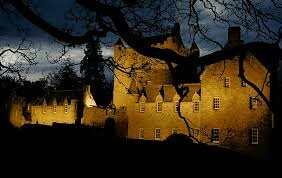 Drive to Airth Castle where the staff may take you on a ghostly tour of the castle. Watch out for rooms No 3, No 9 and No 23 as they are all haunted by a small group of playing children. Even their ghostly nanny is still around and she sometimes looks after children whose parents have gone to dinner in the hotel restaurant! 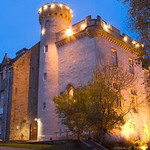 Do remember – rooms that are haunted by ghosts will feel chillier… Overnight at Airth Castle. 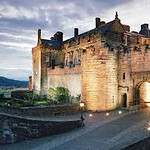 Today you have the opportunity to tour two historic castles associated with Mary Queen of Scots. 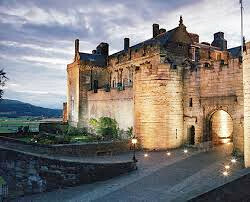 Stirling Castle stands on volcanic rock overlooking the town of Stirling. 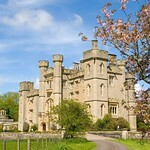 The Pink Lady, a beautiful woman in a pink silk gown, has been seen many times at the castle. 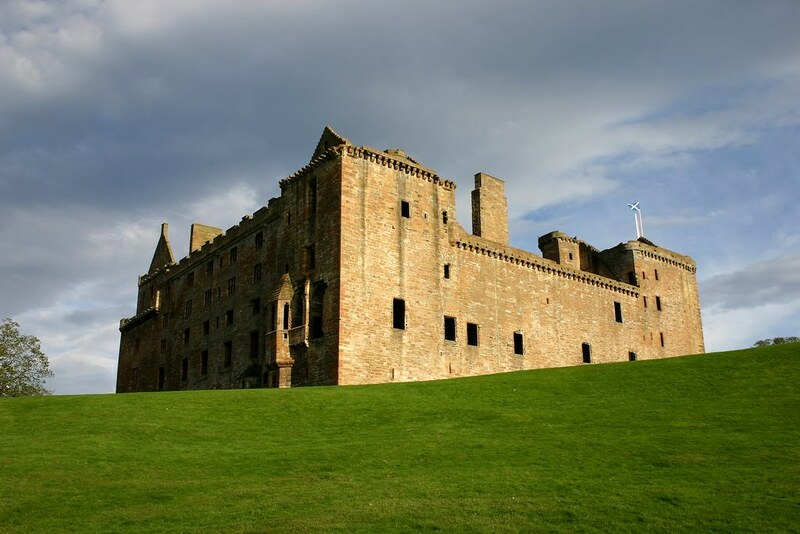 Some say it is Mary Queen of Scots who was crowned in the old chapel in 1533, and others that it is the ghost of a woman searching for her husband who had been killed when Edward I captured the castle in 1304. A Grey Lady has also been known to appear and it is assumed that she was an attendant to Mary Stuart and saved her from certain death when the draperies on the royal bed caught fire. 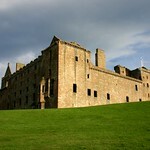 Unfortunately, every appearance of the Grey Lady heralds a disaster to befall the Castle! 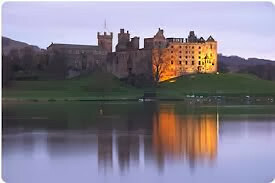 Last but not least, listen out for the mysterious footsteps that have been heard all over the Castle…Just down the road at Linlithgow Palace, where Mary Queen of Scots was born in 1542, Queen Margaret’s Bower is said to be haunted by Margaret Tudor, waiting for the return of her husband, James IV, who was battling against the army of his brother-in-law, Henry VIII. 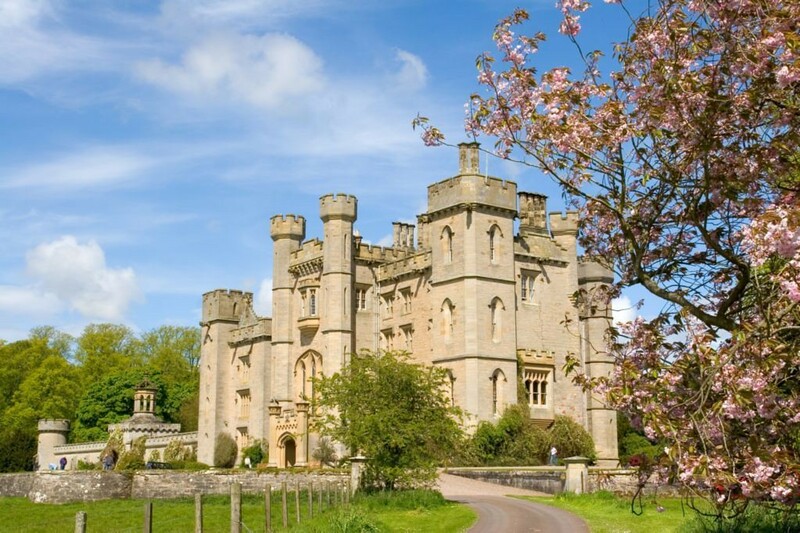 James died on the battlefield and Margaret waited in vain –but not for too long, as she then proceeded to marry her husband arch enemy, the Earl of Douglas. So may be it’s a late regret that makes her appear in the Bower. 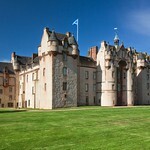 Today make the trip through Fife to Glamis Castle, one of Scotland’s most beautiful and most haunted castles. 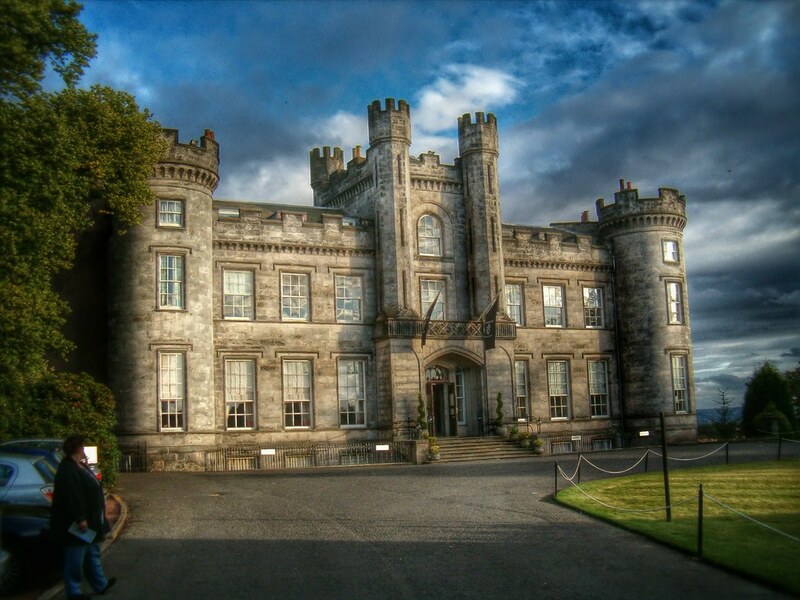 It was the home of the Queen Mother in her youth and the birthplace of her daughter Princess Margaret. 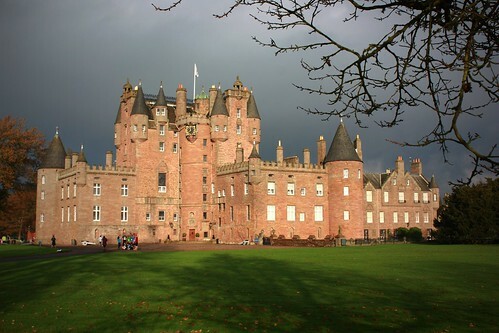 However, its history dates back to the mist of time and Glamis was once the hunting lodge of that most infamous of Scottish kings, Macbeth! 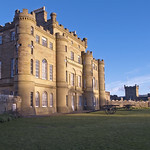 The castle plays host to a plethora of ghosts, one of which is Lady Janet Glamis, who was accused of witchcraft by King James V and burnt at the stake at Castle Hill in Edinburgh in 1537. According to eyewitness reports, a mist arose from her funeral pyre and descended over all of Scotland. You may see her above the clock tower or sometimes in the chapel, where no one ever sits on the seat in the corner out of respect for Lady Glamis. 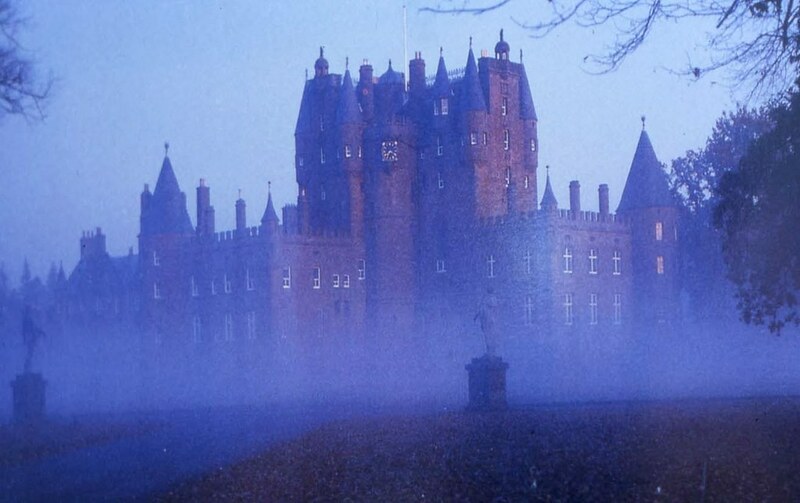 There is also the spectral appearance of a small servant boy, who had frozen to death, a serving girl turned vampire and a tongue-less woman running through the grounds, but the most amazing mystery is the Missing Room. 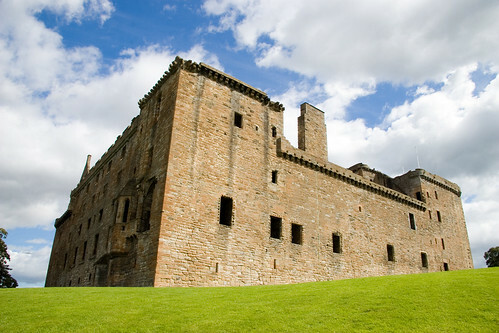 The window to the room can be clearly seen from the outside of the castle, but no entrance can be found and the window is bricked up. It is said that the Earl of Glamis played cards with his friends and did not want to stop when the clock announced the coming of Sunday. A black-clothed stranger entered the room and joined their game and when next a servant looked into the room he found his master and friends playing cards with the devil surrounded by a wall of fire. The room has been bricked up ever since, but on a quiet night you can still hear the men playing cards. 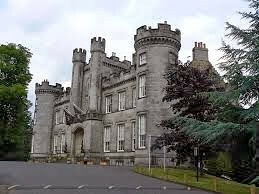 Overnight at Airth Castle. Today we journey north into the Highlands. You will have the opportunity to stop in one of the many picturesque villages on the way, but make sure you leave enough time to take in a different kind of spirit, Uisge Beatha. Take a tour of one of the many whisky distilleries in Speyside, learn about the Angel’s Share and get a taste of the Water of Life. 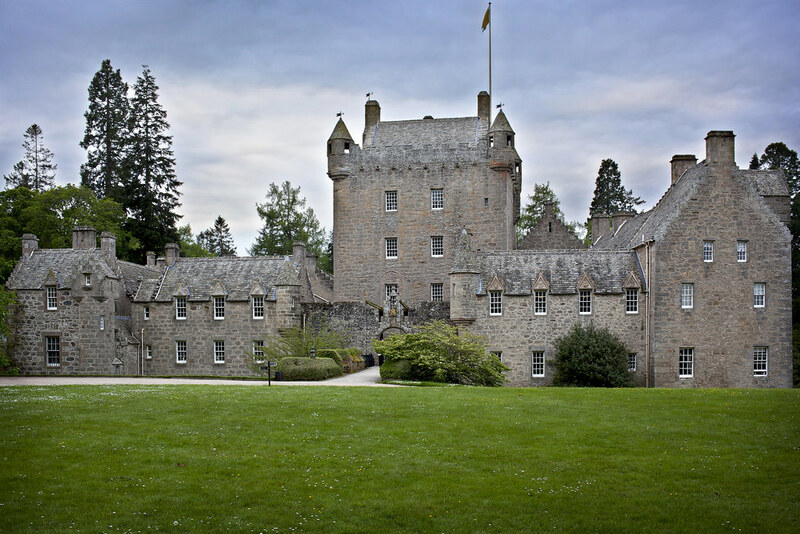 Take a tour of Cawdor Castle, a superb fairy-tale castle romantically linked with Shakespeare’s Macbeth. 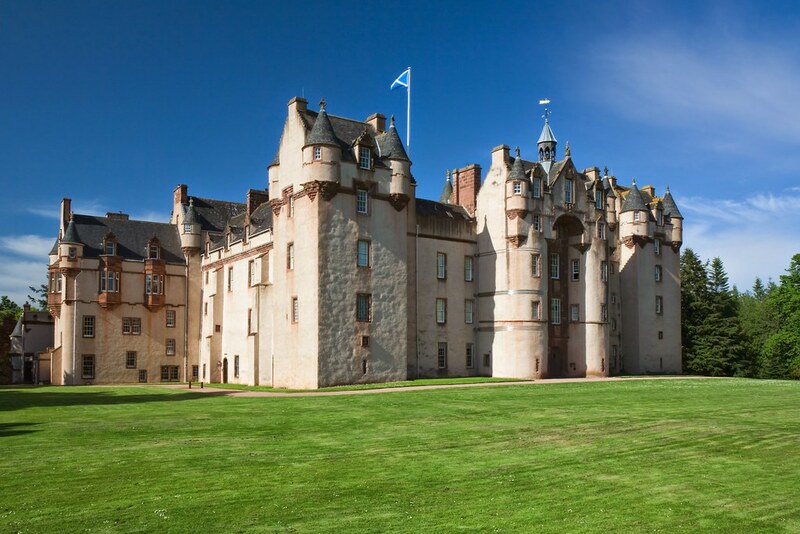 There are reports of 3 ghosts at Cawdor – a mysterious appearance dressed in blue velvet and the ghost of John Campbell of Cawdor, but the saddest appearance is that of a young lady without hands. 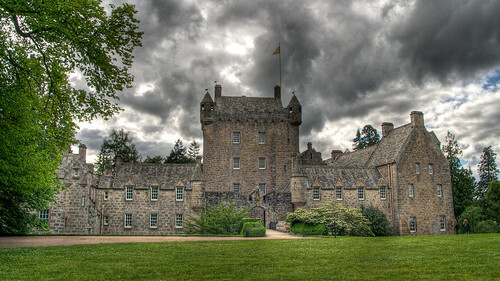 It is said that she was the daughter of one the Earls of Cawdor who had been in love with a man her father did not approve of. As a punishment her father had her hands cut off so that she “could never embrace her lover again”. 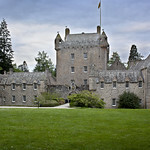 Overnight in Tulloch Castle. 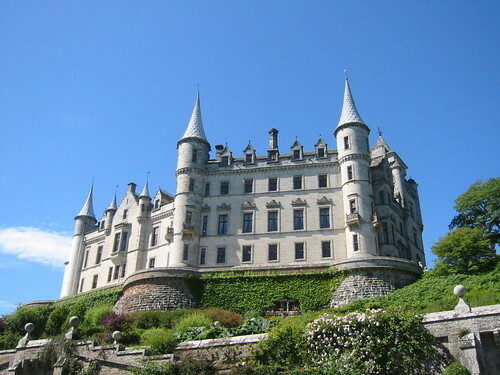 Today you will visit Dunrobin Castle, the most northerly of Scotland’s great castles and home of the Earls of Sutherland. 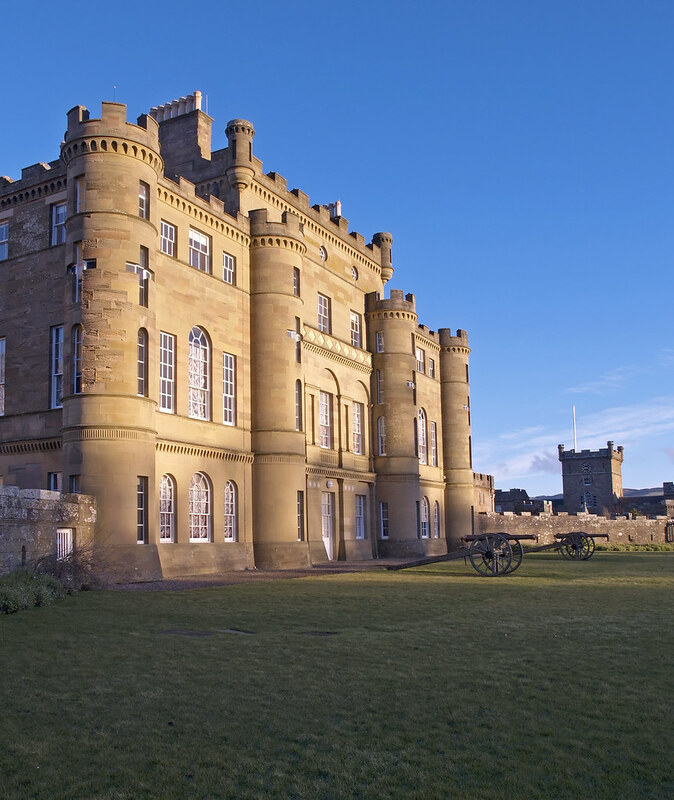 The upper floor of the castle is said to be haunted by the daughter of the 14th Earl. She had been imprisoned in the attic by her father for falling in love with the wrong man. 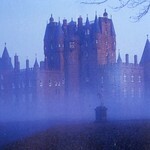 When she tried to flee the Castle and elope with her lover, she fell to her death from a window. 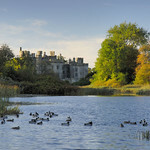 This castle also holds Falconry demonstrations in the afternoons. 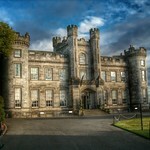 Overnight in Tulloch Castle. 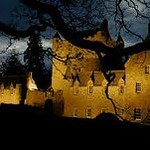 Travelling south along the banks of Loch Ness, keep your eyes pealed for its famous inhabitant, the Loch Ness Monster. Your best vantage point is at Urquhart Castle, the ruins of one of the largest castles in Scotland which fell into decay after 1689 and was blown up in 1692 to prevent it being occupied by the Jacobites. Continue south through one of the most picturesque and haunting sites in Scotland, the valley of Glencoe, scene of the 1692 massacre of the MacDonald Clan by the soldiers of King William. 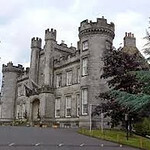 Overnight in Airth Castle. It’s almost time to depart. 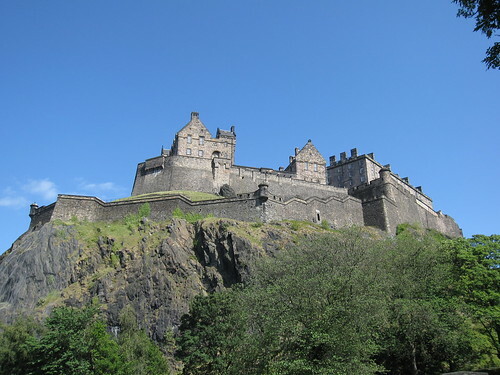 Spend your remaining time in Edinburgh, doing some last minute shopping or, if you haven’t seen enough ghosts yet, tour the Castle which has many, including a headless drummer who only appears when the Castle is about to be attacked and a piper who disappeared in the tunnels between the Castle and the High Street. 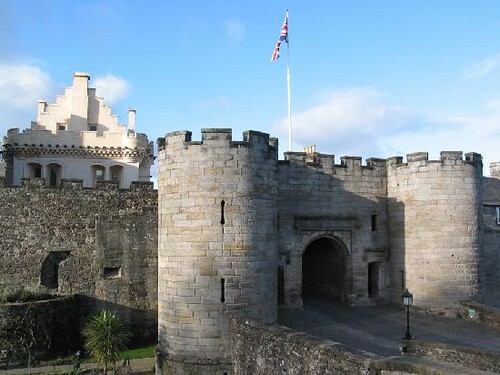 Recently, builders undertaking renovating works have been disturbed by ghosts said to be French prisoners of war, who were held captives in the Vaults underneath the Castle. Child rates: A child 5-12 years, sharing with 2 adults: £50% of adult price. 13 years and above: adult price. Children 0-4 years free of charge. Simply choose the date you want the tour to start on during the booking process. children 5 to 12 years: 50% of adult rates, paying all meals direct. Children 13+ or having their own room would be classed as adults. Please note that when a customer cancels any confirmed JAC Travel Tour, a standard charge of 10% of the booking price will be made to cover administration costs. For cancellations more than 30 days prior to the start date, full refund less 10% admin fee. For cancellations within 30 days of the start date - no refund will be made. 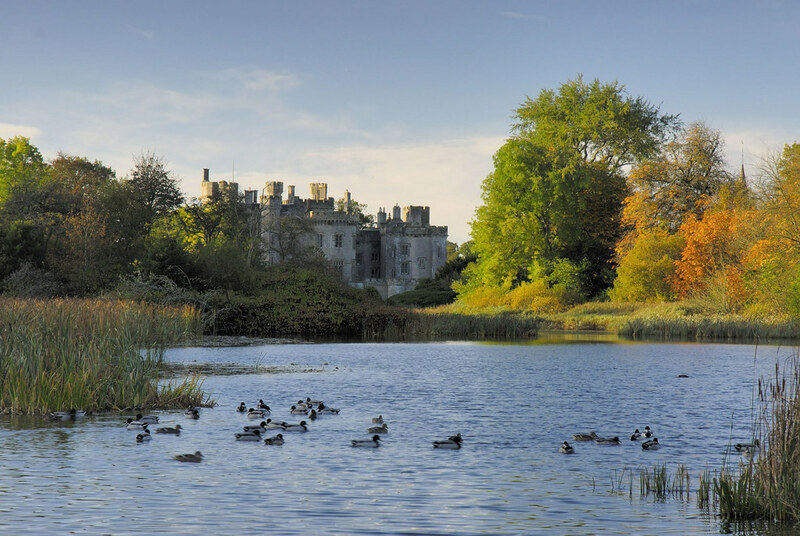 Click on the 'Book Now' button for our secure online booking form. Please be aware it can take several days for JAC Travel to book the accommodation for you; we'll then take payment and email you confirmation list of your accommodation. 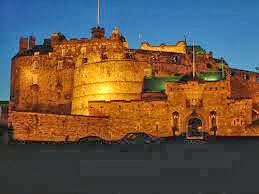 Iconic image of Edinburgh and one of the most perfectly located castles on the planet.